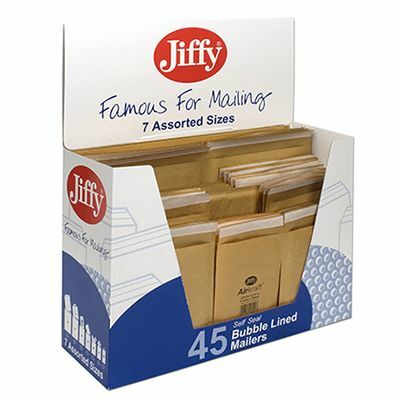 These handy mixed boxes of Jiffy bags contain a choice of 45 bags in six different sizes or 50 bags in seven sizes, making them ideal for businesses without a need for individual sizes in large quantities. 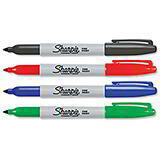 Meanwhile, the box lid folds back to allow for convenient display of the contents, allowing easy access when kept on the desktop in the warehouse or office. 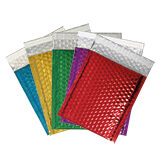 It also means this is a perfect solution for retail stores selling individual bags to the public. 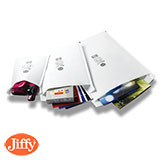 Jiffy bags are one of the most trusted and consistently reliable postal packaging solutions on the market. 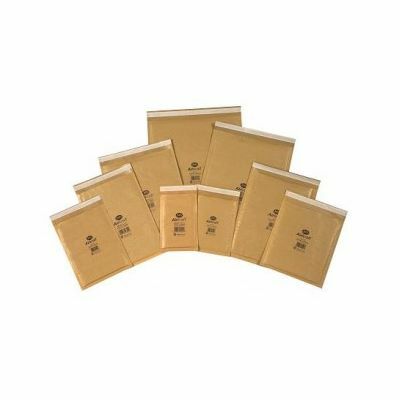 Manufactured from top quality bubble liner, with a strong kraft paper outer, they’re perfect for protecting all kinds of goods and products, from books and compact discs to delicate and fragile gifts and components.